"Eigenzinnig nieuw werk van twee opzienbarende dansmakers"
Uplifting, vibrant beats and rotating upper bodies. The two performers loop and transform their movements unrelentingly. Sharing a groove, they are perseverant and stay close to each other. While pulsating lights wrap around their bodies, they create a physical vortex charged with sensual energy. Searing and evocative, its submerging power lets the experience of the two performers and the imagination of the audience go in sync. Following the fighter in Recovery, this time the classical trained body of a ballerina is the starting point for Florentina Holzinger’s new performance Attitude No 1 ft. Balanxinebaby. A wayward version of Gisèle, the most romantic ballet of all time. Florentina got inspired by Instagram posts and hashtags from major ballet companies. Attitude N01 is an "Instaballet" where the audience discoverers what usually remains hidden. A vivisection of the ballet, a performance like a doctors appointment. Production: Together_till the end is a SHARP/ArnoSchuitemaker production in coproduction with DansBrabant and financial supported by bkkc, with thanks to ICK. ICK Double Bill (Teaser) from ICK on Vimeo. Florentina Holzinger (Austria, 1986) studied choreography at the School for New Dance Development (SNDO) at the Amsterdamse Hogeschool voor de Kunsten. In 2008 as well as in 2011 she received the danceWEB Scholarship at ImPulsTanz Vienna. Her graduation solo work Silk got awarded the Prix Jardin d’Europe in 2012, alsoat the lmPulsTanz Festival. Her collaboration with Vincent Riebeek resulted in a trilogy of pieces – Kein Applaus für Scheisse, Spirit, and Wellness – that are touring at various international performance festivals. Holzinger premiered her last solo work Recoveryin autumn 2015. The collaboratiom with Vincent found continuation in the making of their newest work Schönheitsabend - Tänze des Lasters, des Grauens und der Extase. Florentina is co-author of and performer in the webseries Body and Freedom, shot at the Berliner Festspiele, which will be available to online viewers worldwide from Summer 2016 on. She is currently artist in residence at ICK. Arno Schuitemaker graduated in Aerospace Engineering and before his twenty-fifth birthday he decided to change to a professional dance education. In his performances he allows unique relationships between the performers and the audience that makes his work refreshing and profound. Across Europe, his work is much appreciated by press and public. 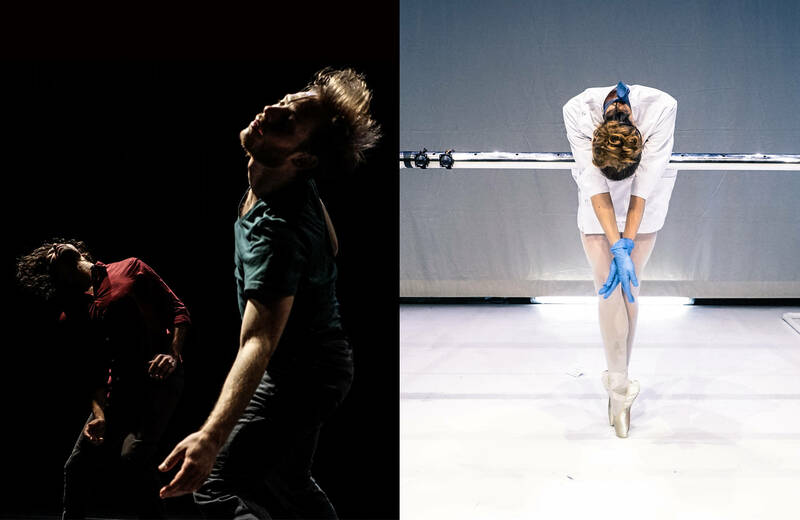 "One of the leading choreographers of the Dutch contemporary dance scene."